Rufus came into the Fort for his assessment bright and early this morning. 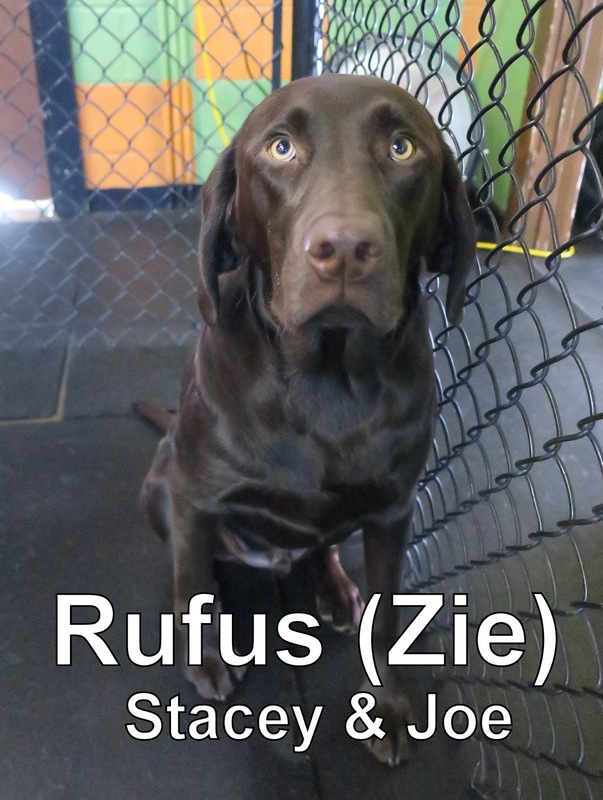 He is a nine-month-old, eighty-pound, Chocolate Lab. Rufus is very well behaved, and "speaks" good dog. He will be a great addition to our Large Dog Program. Rufus thoroughly enjoyed his first day here, and made lots of new friends including, Marley, Sergeant Major, and Espy. Rufus is welcome back anytime. Good job today, Rufus! Check out this clip of Ginger & Marley having some fun in the Large Dog Program.